Scientist, Daniel Seitz, works on the Cibola satellite at Los Alamos National Laboratory. Cibola is part of the U.S. Department of Defense Space Test Program. It was designed to prove that off-the-shelf computer processors called field-programmable gate arrays can be used for supercomputing in space. 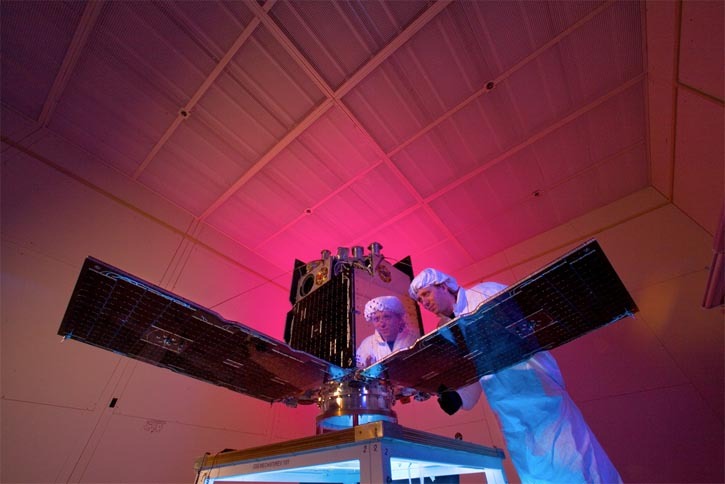 The processors can be reconfigured while the satellite is in orbit, enabling researchers to modify them for different tasks, such as studying lightning, disturbances in the ionosphere, and radio-frequency sources. Los Alamos is operated by Triad National Security, LLCunder contract to the NNSA.